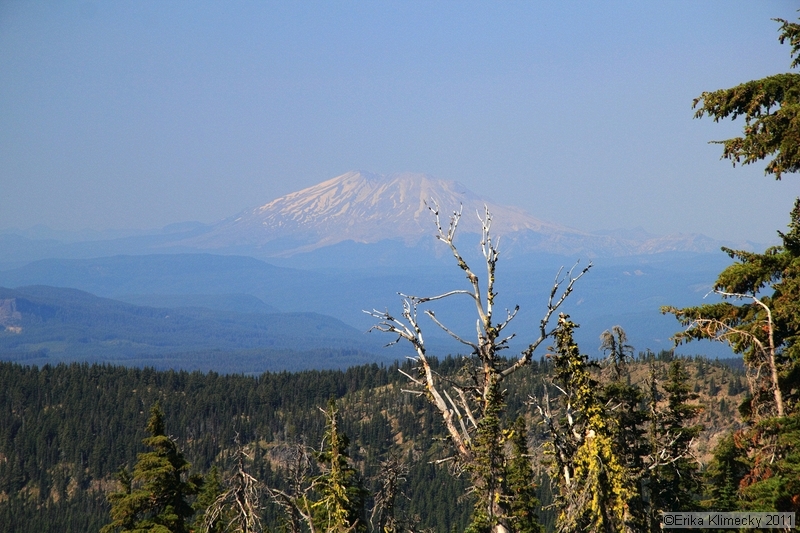 Embark on a journey into a volcanic wilderness by following the Mt Adams South Climb trail to the lunar landscape of Lunch Counter. If you would like to get a taste of the mountain climbing culture without as much danger of altitude sickness, try your heels out on the first 2/3 of the South Climb trail. 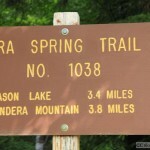 Start off from Cold Springs Trailhead (5600 ft) and follow the wide trail as it meanders through a dry pine forest. 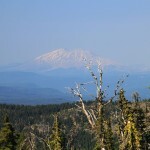 The old road-turned-trail only gains a small amount of elevation as it winds through flowering meadows, offering glimpses of Pikers Peak and Mt St Helens through the trees. Continue straight on the trail as it intersects with the Round the Mountain Trail, following the arrow towards the South Climb. Follow the trail as it makes its way up the base of the mountain, leaving the pine trees, verdant meadows and vivid wildflowers behind as it cuts into the wake of an old lava flow. After two miles the road disappears into a thin, dusty trail. As the trail winds closer to the dormant volcano it ascends upward into switchbacks across a craggy slope of volcanic rocks, adorned by a few pines that offer a few snatches of shade. As you make your way up along the slope be wary of the loose volcanic rocks and soil, which can easily shift and give way. 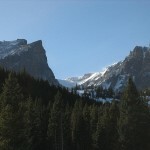 Follow the trail as it levels out onto a snowy plateau. 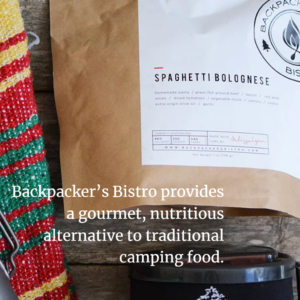 Adventurous hikers with crampons, ice axes and self-arrest skills can don their gear and climb up the snowy slopes of the Crescent Glacier to reach the snowfield below Lunch Counter. 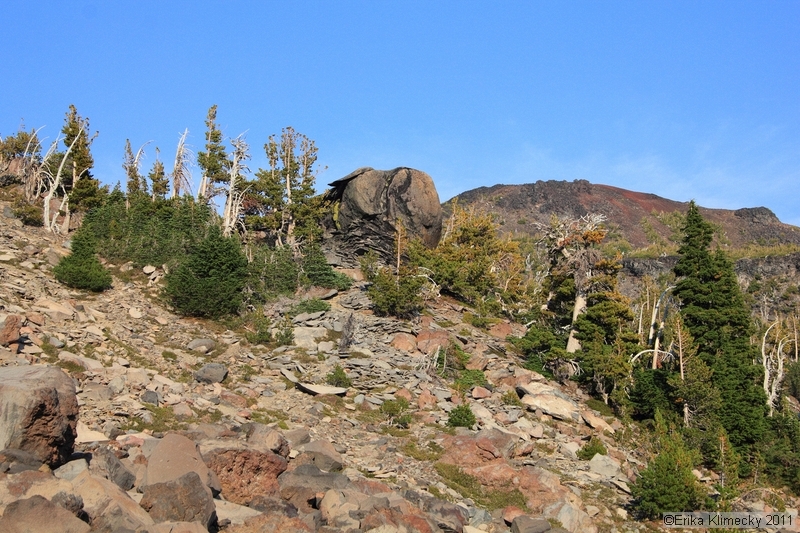 Conservative hikers can follow the trail markers up a rocky cliff to follow a ridge of volcanic rocks. The trail winds through small pines, bent from heavy snowfall, and a menagerie of man-made campsites. Eventually the trail levels out at the top of the rock ridge, descending slightly onto the snowfield below Lunch Counter. 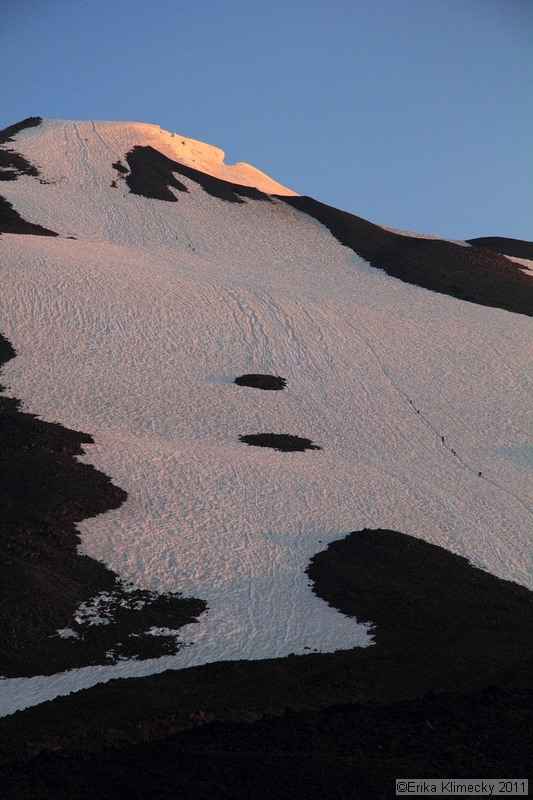 Hikers can don their crampons or brave the slickness of the summer snow as they climb upward along the wide snowfield, rewarded by a spectacular view of Mount Adams’ elegant profile. Continue walking along the snowfield, slowly angling your path rightward towards the rocky plateau known as Lunch Counter. 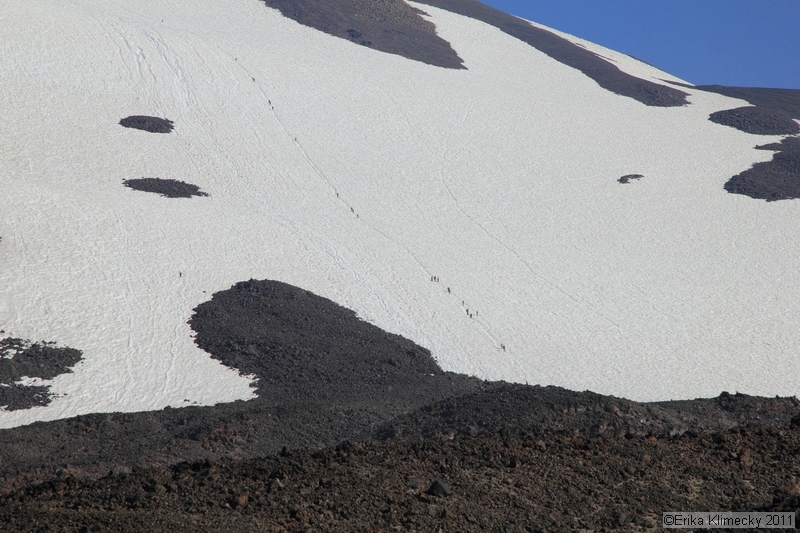 Follow the snowfield to the feet of the volcanic cone and marvel at the spectacular lava formations and meticulously-built campsite structures. Sit at the base of Pikers Peak (the mountain’s false summit) to watch mountain climbers make the ascent or glissade down on one of the well-traveled chutes. Cross the Hood Rive Bridge and follow Highway 141 North from White Salon for 22 miles. 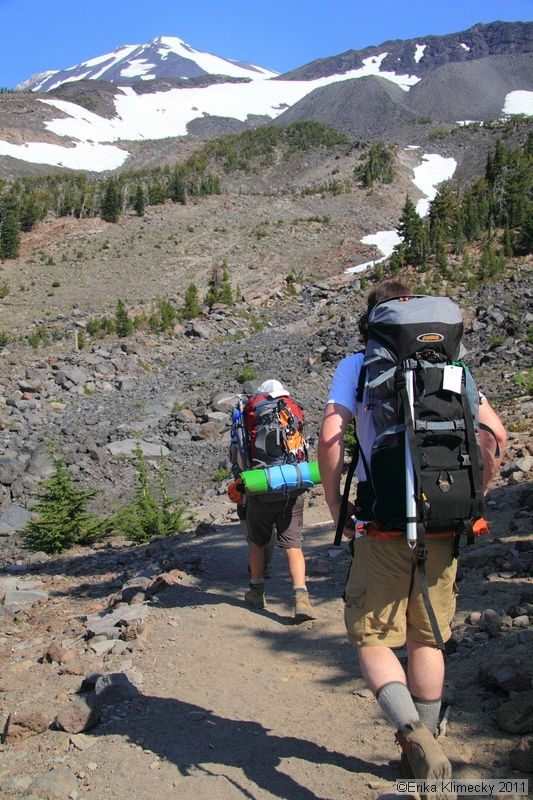 Stop at the Trout Lake Ranger station to purchase a Cascade Volcano Pass. Drive North from the town of Trout Lake on Road #23/Mt. Adams Area Recreational Road for 1.4 miles until the road hits a Y. Take the right fort to merge onto Road #80 and drive for .6 miles. Turn left to follow road #80 and right onto Road #8040 (a gravel road). Follow the road to Morrison Creek Campground, and (roughly 10 miles) and turn right onto Road #500 to Cold Springs Trailhead. Melissa was born and raised in the Northwest and grew up hiking in the Cascades and exploring the wild beaches of the San Juan Islands. 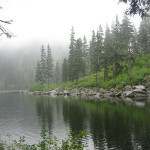 Her first backpacking trip was a 10 day trek across the Olympic Mountains, following the Quinault River. During college she spent four months abroad in New Zealand studying writing and backpacking throughout the North and South islands. 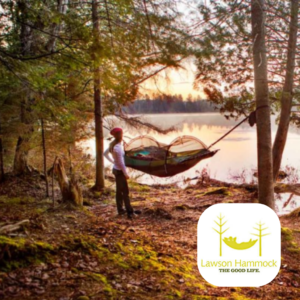 An avid hiker and outdoorswoman, Melissa is inspired by her outdoor adventures, whether they are bouldering, backpacking, hiking, trail running, scrambling, or simply setting up her hammock in the sun. After graduating from the University of Puget Sound in May 2010 Melissa has begun a career as a freelance writer and juggles painting, poetry, and writing a novel in her spare time.